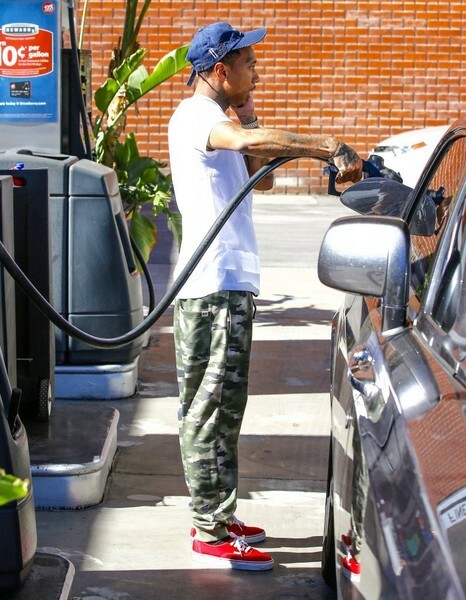 Tyga was spotted filling up the tank of his Rolls Royce Phantom Coupe in Los Angeles while talking on his cell phone in Los Angeles recently. This is what happens when you feel obligated to buy those around you most of the same stuff you have and take them everywhere you go just because you want street cred and don’t want to be called a sell out. You will be used up until you are broke and all of those “homies” you had will be looking for the next wave to ride. I doubt his financial situation is to the point to where he has to beg for gas but I’m sure it’s to the point where he will be begging to keep his possessions from the court in the future. Heha already had a rolls Royce before he met her he still has his white drophead soo. No he don’t have a coupe and a drophead. I’m pretty sure this one is also a lease.